Are you tired of noisy hustle life in modern city? Are you looking for a peaceful place that reminds you of old days? Hoi An is an ideal destination for your perfect escape. 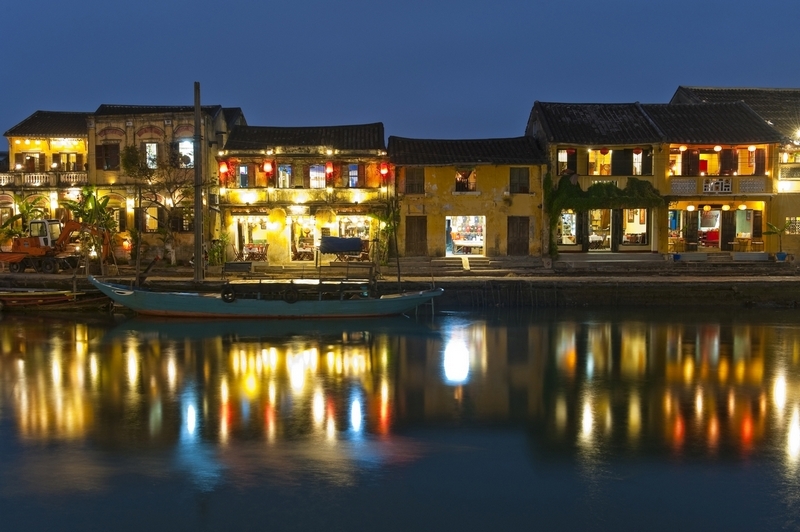 Hoi An is an charming ancient town which stretched along the Thu Bon River in Quang Nam province. With the protection and respect of local people to traditional and historical value, Hoi An structure seems to be remained like it was 200 years ago. Its unique and historical beauty were recognized as World Heritage by UNESCO. The typical architecture of old house in Hoi An is a narrow interior with high wooden ceiling which was sophisticatedly engraved. Many houses have been inherited and reserved by six generations and played an important spiritual role for centuries long. People living in them treat the houses like their family’s treasure. The houses are still used for the same purpose like in 17th century – places for merchants to live, to earn money by display, to sell their goods. Some of well-known antique houses in Hoi An are Tan Ky, Quan Thang, Phung Hung… The centre of Hoi An is very small with short narrow roads. Most of attraction sites are within walking distance. The city’s authority does not allow motorbikes in the centre of town from 6.00 pm till midnight on normal day. Especially, whole day on the 14th and 15th of every lunar month, motorbikes are banned in the Old Town. On those evening, both travelers and local people can enjoy walking on the street without any noise or smoke from transportation vehicles. Instead, it is a great chance to relax with a lot of activities, including traditional Vietnamese games and music which are held in all over the corners of the town. Hoi An people wearing ancient clothes become actors in reciting poems, playing chess together. Lantern is one of the most special feature of Hoi An. This will be an unforgettable memory for anyone has been to Hoi An on Lunar month’ night when all electric lights are turned off and replaces by thousands of colorful lanterns. These activities relive the beautiful atmosphere of an ancient port with rural pleasures of local people. A get-away to a Hoi An with someone special on the full moon night is the romance of a lifetime. I cannot help falling in love with this little town, from its structure, its people to its cuisine. Hoi An people still do the job that their forefathers taught them. Traditional occupations such as carpenter, tailors, street vendor sellers, ceramic and lantern artisans still existed and developed along with the prosperous of the city. Skillful artisans create sophisticated hand-made products that contribute to the charm of Hoi An. Come there once is not enough, I will definitely visit Hoi An again next year!